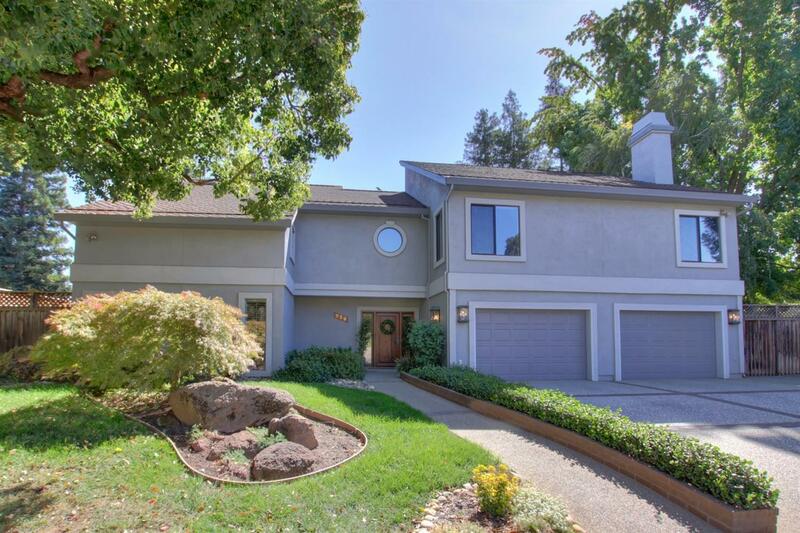 Spacious contemporary custom home in desirable Del Dayo Estates features incredible space, soaring ceilings and windows inviting natural light throughout. Upstairs Master Suite encompasses the second floor w/sitting area, fireplace, jetted tub & exercise room. Generous kitchen w/island, breakfast nook & patio; large downstairs bedrooms, separate family room & fireplace; wet bar, multiple patios & sparkling pool. Incredible home tucked away on quiet street. A must-see to appreciate.